With a unique complexity of flavors and an irresistible snap, dark chocolate coatings are the perfect finishing touch to any sweet indulgence. 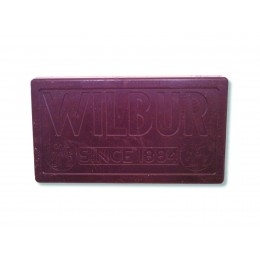 From decadent ganaches to delicate coatings, Royal Wholesale has an extensive selection of bulk Wilbur Dark chocolate products to satisfy the needs of high-level bakers and sophisticated snackers alike. Wilbur dark chocolate is so fresh and versatile that it’s easy to incorporate its rich flavor into all of your favorite recipes. From wafers, buds, blocks and more, you can buy the very best chocolates and confections in bulk to create that perfect bittersweet glaze or shell. No matter what you choose, you can pull off a high-quality dessert with ease for any special occasion or gathering. Search our various wholesale categories of Wilbur dark chocolate, milk chocolates, white chocolates and more to buy everything you need for an unforgettable chocolate experience.